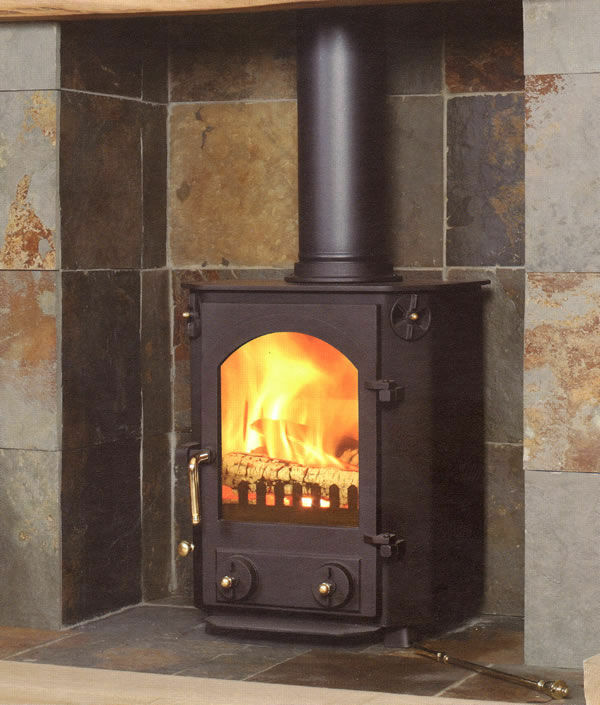 The Farndale multi fuel stove is made by Town and Country and can take up to 14 inch logs. There is an external riddling grate and you can get an optional boiler for this model. 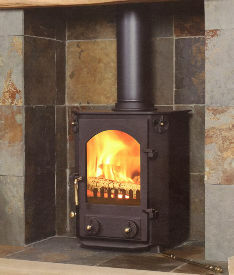 The Farndale has one door with a plain glass window giving a good view of the fire.